Perhaps prompted by all of the pet food recall announcements over the years, more and more companies and individuals have flooded the market with all natural and organic choices. For pet owners, these alternative foods and treats from companies and entrepreneurs have been a welcome addition from the mass produced products that seem unable to comply with standard FDA rules and regulations. According to the Pet Food Institute, in 2003 U.S. consumers spent more than $13 billion on cat and dog food, a figure that has increased to over $18 billion in 2011. 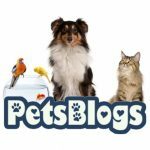 It’s obvious that people who love pets are willing to spend money on quality food for their furry companions and pet owners who are becoming frustrated with the commercial pet food industry’s less-than-favorable facility conditions producing recalled cans of food are turning their attention, and their purse strings, elsewhere. New, all natural and organic products are popping up quicker than flowers in warm spring weather. The Food and Drug Administration (FDA) regulates that can of cat food, bag of dog food, and box of pet snacks in your pantry. However, there are no requirement that pet food products have premarket approval by the FDA and there are no special requirements or restrictions on stating that the product is all natural or organic. Sure, the Federal Food, Drug, and Cosmetic Act (FFDCA) requires that pet foods, like human foods, be pure and wholesome, safe to eat, produced under sanitary conditions, contain no harmful substances, and be truthfully labeled. But really folks, what good is that? Just look at the number of pet food recalls to see that no one really enforces that act. Pet food and treats don’t have to be natural or organic to label them as such. That is, until now. 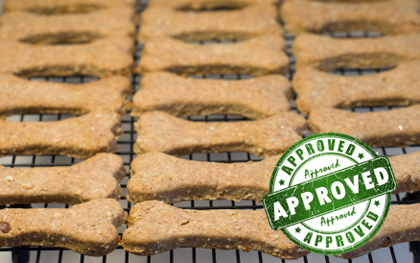 In unprecedented cooperation, the FDA and AAFCO have joined forces with CVM and consumer advocacy groups to make pre-market approval mandatory for all commercial and homemade pet food and treats with natural and organic labeling. The new joint task force, NOPPE (Natural & Organic Pet Protection Enforcers), has already begun inspections and many home-baking entrepreneurs are up in arms about the lack of prior notice. If you are currently producing all natural or organic pet foods and treats from your home, you’ll need to comply with the new Federal and State rules governing the manufacturing and sale of these products. The deadline for receiving the stamp of approval from the FDA to continue production is today, April 1, 2013, but an extension can be filed by submitting a request in triplicate. NOPPE is hoping that the new regulations, based, in part, on this law found in the Code of Federal Regulations, Title 21, Food and Drugs, Part 500 and, in part, on the AAFCO’s “The Business of Pet Food”, will help ensure the safety of all pets in the US, regardless of the number of commercial pet food recalls. Does this new, crazy task force expect to be able to pre-approve every single pet food and treat sold? NOPPE. Does it even exist? NOPPE. It’s our evil attempt to entertain our audience on April Fool’s Day. While we had a total blast last year talking about Mackinac Island monkeys and the year before that talking about a National Pet Tax . . . this year we got way too realistic in our brainstorming because we’re kinda sick of pet food recalls, continually trying to read labeling on pet (and human for that matter) consumables, and we’re pretty sure a lot of organic and all natural foods are neither organic, nor natural in reality. The best thing you can do for your dog is to give them healthy, natural homemade food please don’t give them commercial food. Great post! We’re huge believers in organic food for our dogs.